In moments where people need to know, go, do, and buy, relying on our phones has become second nature. Are you responsible to define the marketing strategy for your company? Do you need to explain to your management why a mobile website is a must? 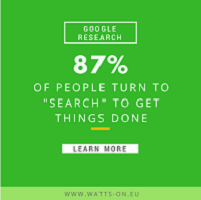 Take a look into this study: Google’s VP of marketing, Lisa Gevelber, shares new research that quantifies how people use digital to make decisions and take action in their daily lives.